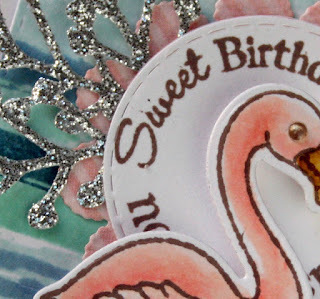 Liz's Paper Loft: MCT "Do Over" Thursday ~ sweet birthday! Hi, today is Do Over Thursday over My Creative Time. Sometimes a "do over" doesn't mean it turned out bad, just you want to try a different way. Well that's how I view mine, I really liked my first card, however I LOVE my new card. 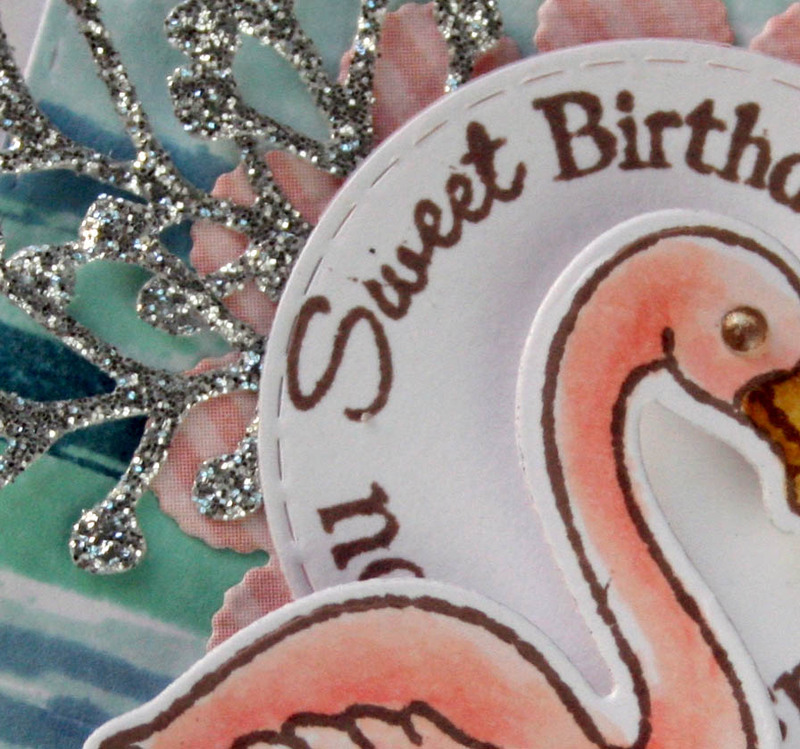 This card was made for my step mom's birthday earlier this month. When I was at my parent's home I noticed that she had her Mother's Day card on the wall. I'm so glad that my parents appreciate the handmade cards. On the tag I randomly stamped the watercolor stamp in three colors. 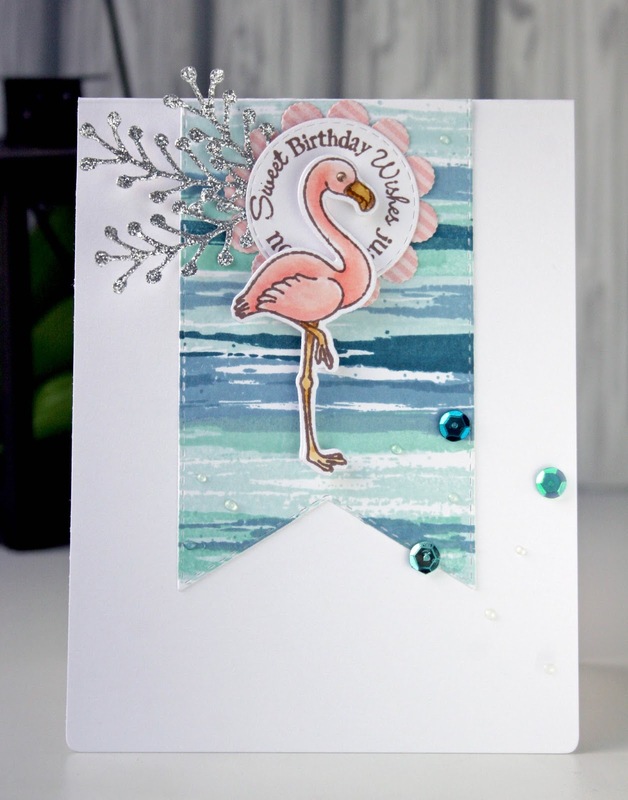 I quickly colored the flamingo with copic markers, loosely adding shading. . 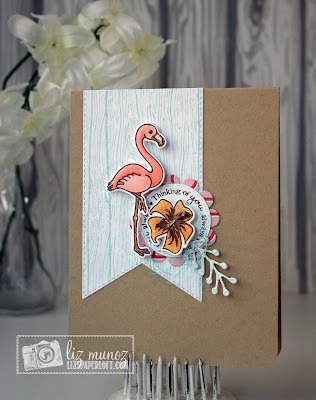 Your Do Over Flamingo Is Gorgeous!! 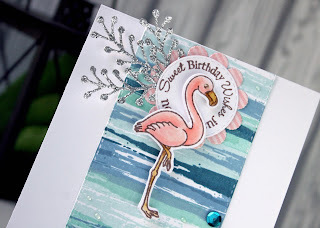 I love your explanation of the do over because you are so right..makes perfect sense as there are so many different ways to use the same things....loved your story share about your Mom's card definitely so sweet....love both of your Flamingo cards and your inspiration for the background...YOU so ROCK!! So pretty! I love both of them, but I'm really drawn to the way you used the watercolor stamp in your new one. Gorgeous colors! I love the background water colors! It's so eye catching. I think they are both wonderful!! They are both really nice, but the new one is gorgeous! Great do-over Liz. I love the background on your re-do. 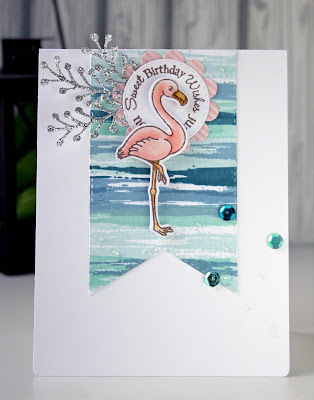 I really like the watery background and the glittery embellishments! So pretty! Liz ~ As always I LOVED the first card but that second card is beyond Gorgeous! The colors and the water coloring is AMAZINGLY beautiful!! !